The former Chief Minister of Jammu and Kashmir said his party was not running away from polls but wanted the Centre to take effective steps for the protection of the state’s special position. 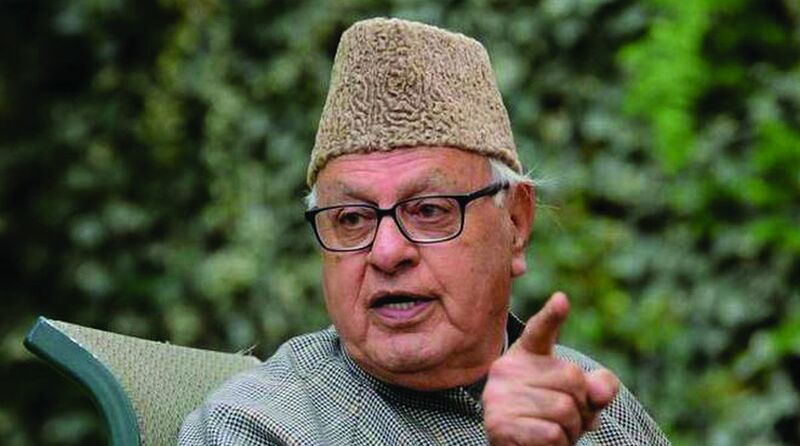 Hardening his stand on the issue of the Article 35-A, National Conference (NC) chief and MP Farooq Abdullah on Saturday said that the party will not contest next year’s parliamentary and assembly elections if attacks on the special rights and position of Jammu and Kashmir continued unabated. Farooq had on Wednesday said that the NC would not contest the upcoming panchayats and urban local body elections unless the Centre takes effective steps for protection of Article 35-A of the Constitution which is facing legal challenge in the Supreme Court. Taking media persons by surprise on Saturday, Abdullah said that the NC would also not contest the Lok Sabha and Assembly elections. Abdullah, who was observing the 36th death anniversary of his father Sheikh Abdullah in Srinagar, said it was unfortunate that the panchayats and urban local body polls were announced without taking political parties on board. The former Chief Minister of Jammu and Kashmir said his party was not running away from polls but wanted the Centre to do justice with the people of the state first and take effective steps for the protection of the state’s special position. He alleged that the intentions of the Centre have never been right. “The NSA has said that a separate constitution for Jammu and Kashmir is an aberration. I want to tell him from this stage that if the constitution is an aberration, then this accession of Jammu and Kashmir to India is also an aberration,” he said. 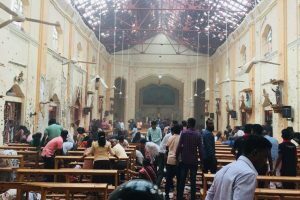 “If the government of India doesn’t stand up to protect our special rights and separate constitution then we would boycott assembly and parliament elections as well,” he said. He said the void created by the PDP-BJP government between people of the state on religious and regional basis is very difficult to bridge. Abdullah reiterated that India and Pakistan must be friends for mutual prosperity. “When a leader of the stature of Atal Behari Vajpayee can go to Pakistan as the Prime Minister with a friendly gesture, then why is Narendera Modi not working in this direction?” he asked. He added that there are people with vested interests in both India and Pakistan who do not want relations between the two countries to improve.